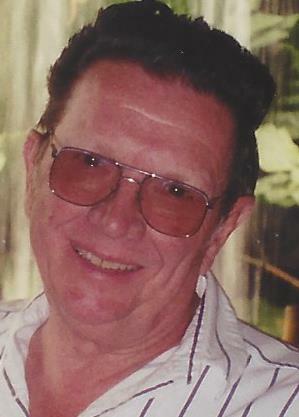 John “Herb” Brown, 86, of Viola, Illinois died Wednesday, June 13, 2018 at Heartland Health Care Center, Galesburg. Visitation is Friday, June 15th from 5:00 – 7:00 p.m., followed by a Masonic Service at 7:30 p.m. at Dennison Funeral Home, Viola. Funeral services are 10:00 a.m. on Saturday, June 16th at Dennison Funeral Home, Viola. Burial will be in Viola Cemetery. Memorials may be left for Viola United Methodist Church. John Herbert was born May 26, 1932 in Little York, Illinois the son of Milburn T. and Marie Dennison Brown. He was a 1950 graduate of Alexis High School. Herb was a self-employed steel fabricator and welder before going to work for Western Structural in Moline. After retiring from there, he went to work as a truck driver. On September 26, 1987, he married Pauline Selle Barton in Viola. Herb had a love for antique cars and restored a 1941 Ford, for which he received national awards…the Dearborn Award and Dearborn Emeritus Award. He was a member of Ford V-8 Club of America and Galesburg Antique Car Club as well as the Viola Masonic Lodge and Viola United Methodist Church. Those left to cherish his memory are his wife: Pauline Brown of Viola, IL; children: John (Rebecca) Brown of Alexis, IL, Jody (Dennis) Siebel of Walcott, IA and Jim (Pam) Brown of Henderson, NV; step-children: Jeff Barton and Jay (Lisa) Barton all of Viola, IL; 6 grandchildren and 4 great grandchildren; 8 step-grandchildren and 2 step-great grandchildren and nieces and nephews. He was preceded in death by his parents, son: Dale Brown and sister: Barbara Jennings.